West Bengal Chief Minister Mamata Banerjee, on 8 December, alleged that demonetisation is a manmade disaster of financial emergency caused by a dictator and said that Prime Minister Narendra Modi must clarify the situation and take responsibility for the chaos created in the last one month. 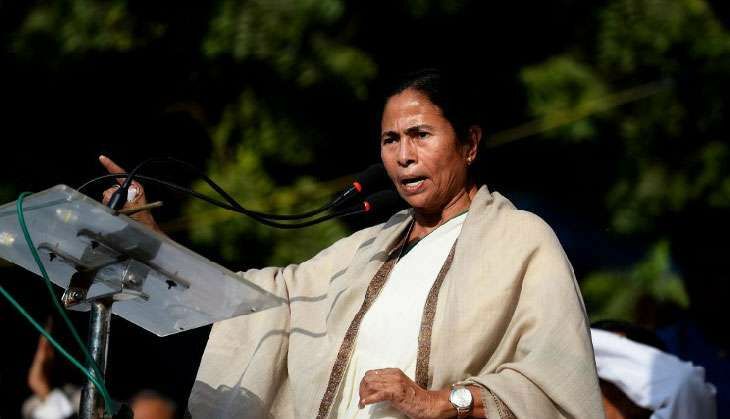 Continuing her outburst against the ruling dispensation, Mamata alleged that the rule of the BJP-led NDA regime is the darkest period in Indian democracy. "What is the hidden agenda and who is the beneficiary? Beneficiaries are only the Prime Minister and his people. Parliament is liable to the people. That was not taken into account," she told the media. The Trinamool Congress (TMC) supremo also used the occasion to launch a frontal attack on Prime Minister Modi and said that he didn't care about the people but instead looted everybody's money. "Many Prime Ministers assumed office, but nobody did this what Narendra Modi has done. It is public money, but the Prime Minister is acting as if all of this is his own. Where is the black money? This is public money that you have taken, the tax payers' money," she added while lambasting him for not consulting anybody before taking the decision. The TMC also questioned RBI Governor Urjit Patel's silence on the matter. "Under the leadership of the current Prime Minister, the government is derailed completely. The RBI Governor is silent on the entire matter. Nobody is giving details on the currency notes. He (Prime Minister Modi) thinks as if he is a tiger, and the only one who is right. Everything is done in huge secrecy as if he is some Ali Baba. He should realise he is occupying a constitutional post," said Mamata. "The RBI Governor is also with Modi ji, he should be playing his own role. People don't know what will happen tomorrow. The Prime Minister just doesn't respond... no reply. He only gives speeches, not answers. Prime Minister Modi must take responsibility for the chaos created in the entire one month," she added. The West Bengal Chief Minister earlier vented her ire on Facebook, saying no black money has been recovered so far but the white money of the common people has been snatched away. "One month of harassment, pain, hopelessness, financial insecurity and utter chaos. That is all that the common people has got after the black decision on demonetisation announced a month back on 8 November 2016. No black money has been recovered. Only white money of the common people has been snatched away," Mamata wrote. "Even no black money has been recovered from foreign countries. In the name of recovery of so called black money, the ruling party at the Centre has created assets in the form of land, bank deposits, gold, diamond and have become more and more capitalists. All the common people are helpless," she added. Mamata further wrote that immediate action is necessary to restore the trust and confidence of the people on the banking and financial sector of the country. "People must have hassle-free access to their own money and feel secure that their money is safe with banks and financial institutions," Mamata shared. "We have raised the issue repeatedly in Parliament and in different other platforms. Leading economists have criticized this mindless demonetisation. But there is no response yet. PM must clarify the situation to the Nation and take entire responsibility," she added. Meanwhile, Prime Minister Modi has praised the nation for supporting the demonetisation decision which he termed as ongoing yagna against corruption, terrorism and black money. In a series of tweets, he said that the government's decision has several gains for farmers, traders, labourers, who are the economic backbone of the nation. Prime Minister Modi further said that though the government's measure will bring a degree of inconvenience, this short-term pain will, however, pave the way for long-term gain. Meanwhile, both houses of the Parliament were adjourned for the day as a united opposition cornered the government over the demonetisation move.